Would you like this product engraved? It may be small, but it’s mighty. 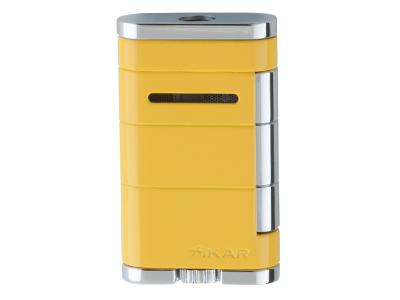 The Xikar Allume single flame lighter is sleek and stylish, and still maintains the signature performance and reliability that the brand is known for. A large flame adjustment wheel makes achieving your desired torch level a breeze, and with a fuel gauge window you will never have to second guess if your reliable igniter has enough butane for that day. 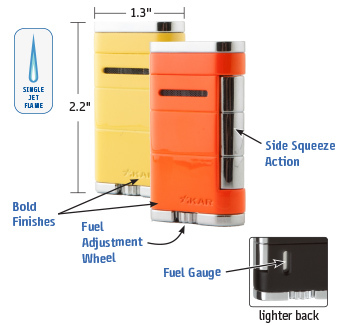 Its compact size makes it ideal for on the go use. Simply slip this little beauty into your pocket and get going. Dimensions: 2.2" x 1.3"